Performance analysts are at the heart of helping GDS digital teams understand user needs. But we’ve become increasingly aware of the user needs in the rest of government for data, analysis and reporting. But we know some departments and agencies feel frustrated or have particular needs, so there’s still more for us to do. 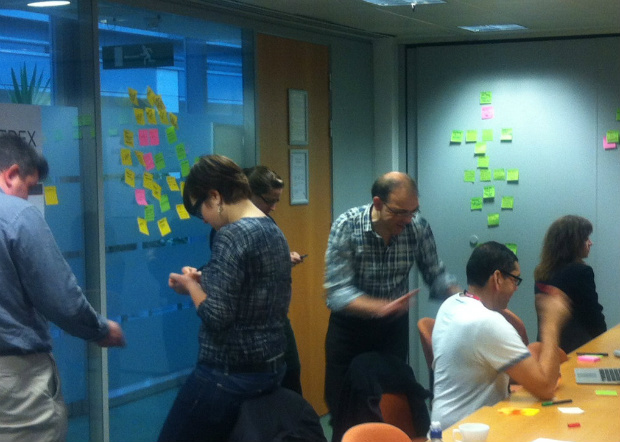 So, recently, we ran a user needs workshop with over 20 colleagues from across government. We asked them to think about their own needs as well as their stakeholders’ needs for data and insights that they can act on. We held 3 interactive sessions to give us a better understanding of our users, their needs, and the tools we currently use to access analytics data. 2. What are our users’ needs? 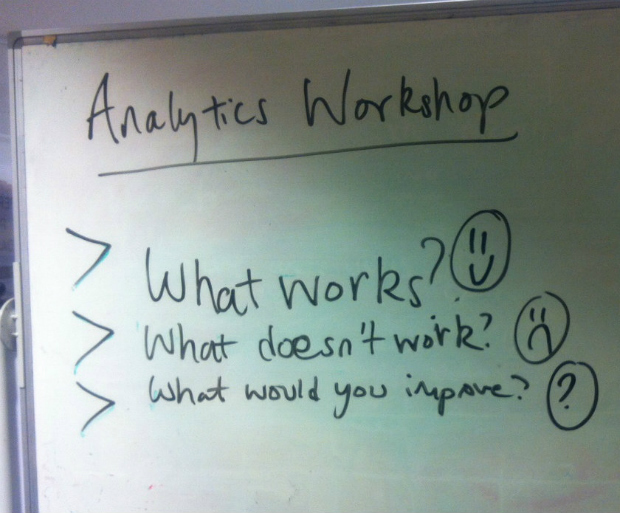 We reviewed a range of tools and reports that are currently available to colleagues doing analysis and what 'worked' or didn't 'work'? What works or doesn't work? Email alerts are automated, accessible and regular, but not everyone is aware of them. The analytics community is useful for sharing knowledge, networking and holding Show and Tells. Again, though, not everyone is aware of the community. Training could be more regular and used to share more best practice. It would be good if it was available remotely. Analytics dashboards are sharable and can be tailored and annotated. More widgets would be good, but it was questioned if they meet a user need. Although blogs are interesting and get good feedback, it was felt there are too many and they can be hard to find again. Their value was questioned by some. The analytics user interface is a quick and powerful tool. However, it’s complicated, the terminology isn’t clear and it’s not clear when sampling gets invoked. Although info pages were thought to be a great concept, allowing you to see the purpose of each page, they lack context and normalisation. Feedex is simple to use but only being able to view 1 URL at a time is restrictive. Making it easier to share comments would be helpful. Magic Script/Google Sheets Add-on gives people direct access to data and is repeatable, but not everyone is aware of it or has access to Google docs. Data visualisation tools are a useful and powerful way to tell stories but can be hard work to set up and raise privacy concerns. We’ll use additional feedback from departments and agencies and user research on the Performance Platform dashboards to write stories which we’ll share again for feedback.